You must make reservations at least 5 minutes in advance of the time at Gyu-Kaku - Addison. 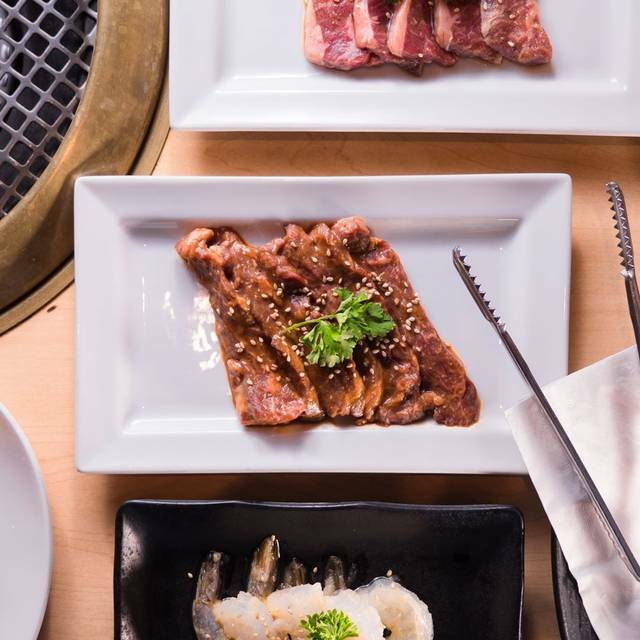 Gyu-Kaku Japanese BBQ in Dallas is the ideal spot for an amazing dining experience! 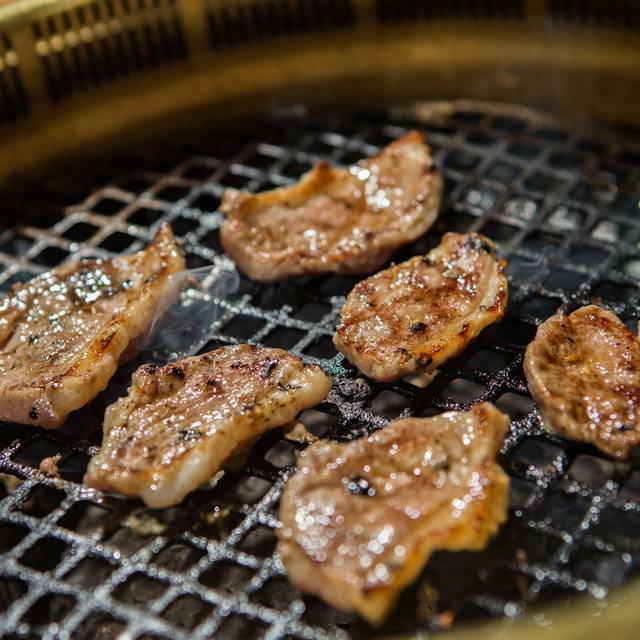 Traditionally called Yakiniku, this Japanese barbecue spot is known for their delicious, fresh (never frozen), high-quality meats! Enjoy an ice cold beer as you grill your own meat. Happy Hours offer the best deals on food and drinks, so be sure to wind down and get the night started right with us. Can't decide what to order? Try our special prix-fixe BBQ courses! Pan fried peppers w/ Japanese citrus flavor! Occasionally spicy! Refreshing seasoned seaweed. A classic Japanese dish! Smoky, flavorful pork slices on rice! 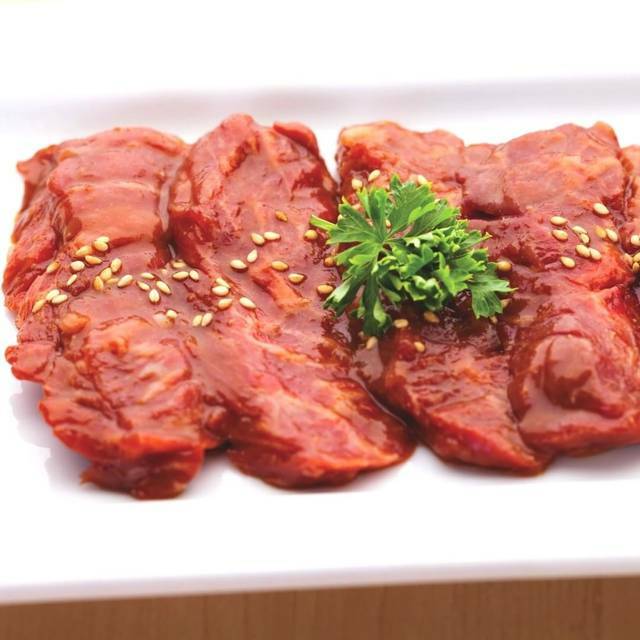 A classic cut for Japanese BBQ. Try it with a squeeze of lemon juice! 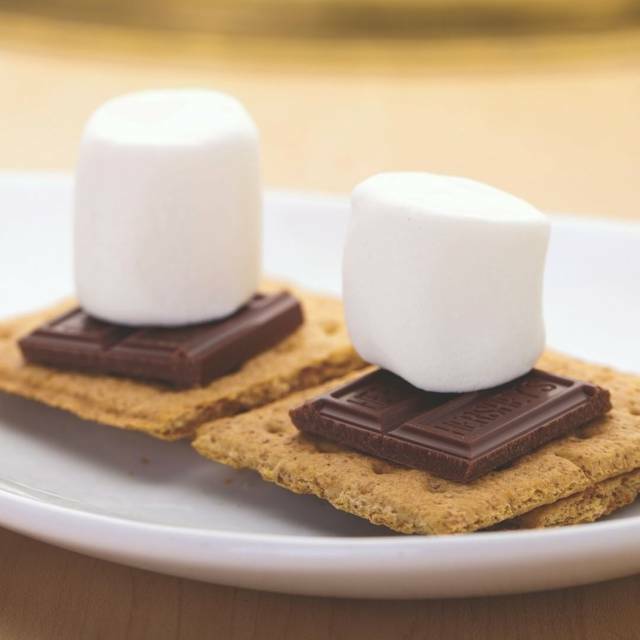 No fancy tricks with this campfire classic! The entire staff was friendly and for how busy it was everything was brought out in a timely manner! This is an excellent experience with great value! My partner and I went and really enjoyed ourselves. Next... we take our teenage girls! I know they’re going to love it! Oh! Andrew, our server, was Amazing! preferred Serving meats one after one, Not several at a time on the table. Had a great time with my family for a Sunday night meal. Japanese BBQ was a nice change of pace from our typical restaurant dining scene. Will definitely come back. Great casual atmosphere. Really great food! We came here for my birthday and it was super fun! Great service and experience. Amazing staff. Always looking forward to coming back!!! Specials are not there. They do not participate on national promotions. Rewards program has gotten worse. Service was horrible. Great restaurant. Be aware that the unlimited special only runs Monday - Thursday so that was kind of sad. We ended up just getting a few bowls of ramen, rice, and then some various meats. We quite enjoyed everything and would recommend the lamb chop. Ordered a bunch of small veggie appetizer and a single plate of meat, the chuck kalbi. Never received the meat. We sat down, and the waiter walked over and asked if we were ready to order in 2 minutes with our drink order. Food was great. Service just needs some help. Love this place! The food is great ! Fantastic service!! We frequent Gyu-Kaku quit often. I was a little disappointed with this service this time. Very slow to get our drinks and food out. We were also told to leave because they had people waiting on the table. We had not even finished out drinks and food yet. Nice experience. It was my first time so I did not know what meat I wanted. The waiter helped us to choose but I think it would be easier to go during a time where they have all you can eat so you can figure out which meats are your favorite. However, the food was delicious and I had a pleasant time. Love it! It’s overall beyond my expectation. I’ll be back occasionally if I have chance to hang out with my friend. So good! Don’t live in the area but worth it whenever we are. Great time and great service. No real complaints. Just make sure that you don't order too much at the end or you will have to pay for what you didn't cook. This is a great place for family and friends, and if you like barbecue, there are a lot of choices here that fit anyone in some special and festival days.Trust me, you just have to be here once, and you're going to love it here.Hurry up and enjoy it. Delicious. Food was spaced out appropriately to where we felt like as soon as we finished grilling the first set of meats the next set was ready to go right after so it’s never ending ! My first time at the Dallas location and I have to say that the food/meat continues to be great! I will definitely come back. Food was good. Service a little slow...we had to wait even with a reservation. We expected better service and portions for the price we paid. It was good that they have a list of their items with no MSG. We did feel a little rushed for the time frame they give you to eat. It was noisy and the decor a little to casual. It was Great! We had the Valentine Special which was a variety of everything on the menu. It was delicious. We had a good time grilling our food ourselves. It made for a fun time! Would recommend the experience and dinner to everyone. I felt the NY STRIP was VERY FATTY so we couldn’t eat it. More fat than actual meat. Everything was delicious overall though. Super fun and tasty. We will be back. It was really great, fast service! We didnt wait long. We were seated almost instantly. The food came out super fast. It was wonderful time! We will def go back! Great food and service. Will definitely be going back. Ted was a fantastic server! Great food and fun experience! Good food, sometimes the service is very average and some days are very good. Great experience as always! Service was so much better this time around. Love this place! Second visit. First time during lunch, second time during our anniversary. A little disappointed nothing special for anniversaries celebrated there though. Would've been nice. Great service. Good food. As always!! 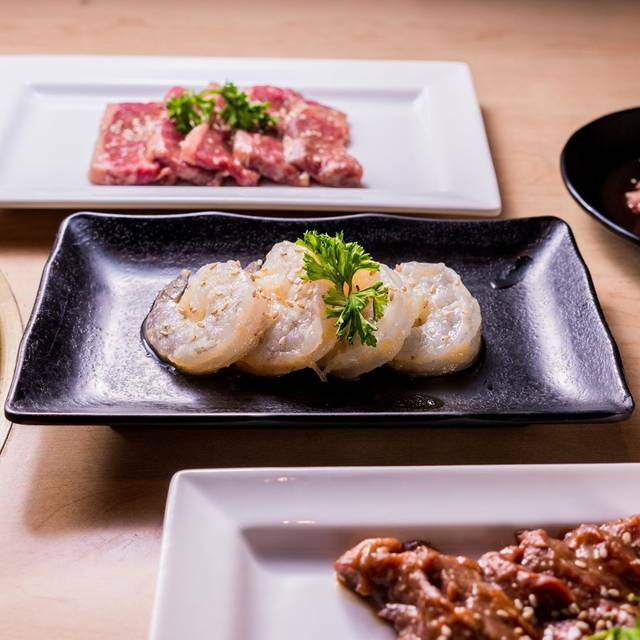 A solid Japanese BBQ spot close in Addison area. 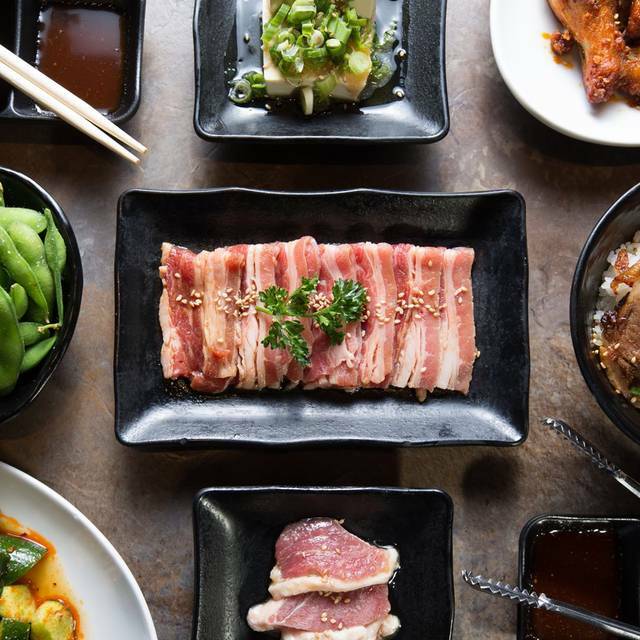 If you've been to Japanese BBQ, you'll know what to expect. 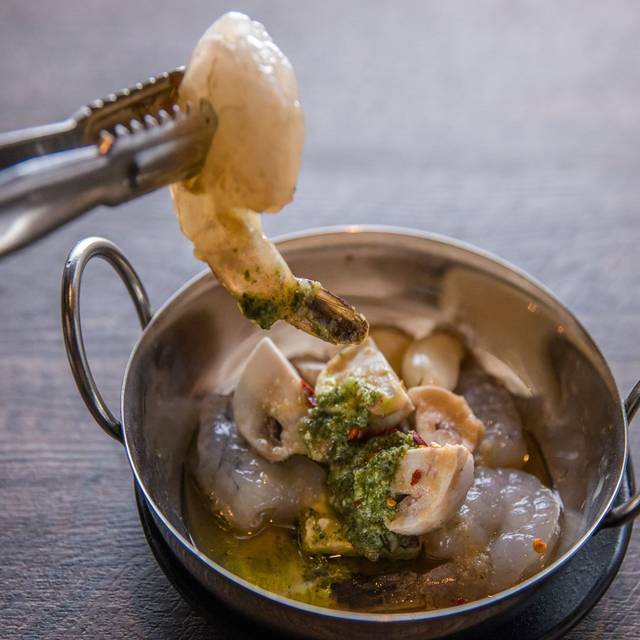 It's a more casual spot than some other J BBQ restaurants (SEE Niwa in Deep Ellum), but the food is good, service excellent, and the menu diverse. Great for a date or night out with friends. It's on the pricier side but worth it if you like J BBQ. 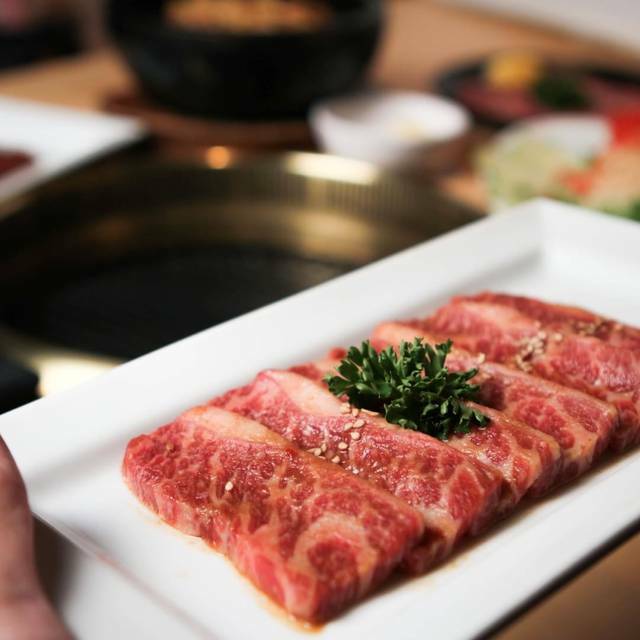 We always enjoy Gyu Kaku, the food and meats are very good and especially for lunch it is a good value. We leave full and not light in the wallet. Service is generally fine, sometimes when they are busy you may have to wait a bit for someone to come by, but overall this is one of our fav spots for lunch or casual dinner. We really enjoyed the atmosphere. I will definitely return to try more dishes. Service was well-timed and friendly. Ted is a very nice and friendly waiter. Best service! !